This tale about a wicked little boy starts out as a ‘normal’ pop song but ends in an aural asylum. 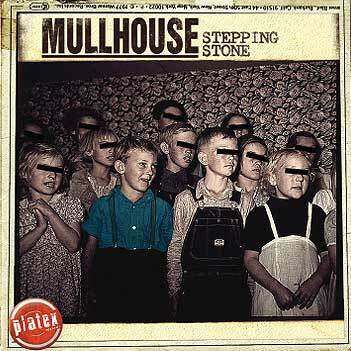 Mullhouse is one of those Frisian bands that came to Groningen. (like Planet Orange, Cochon Bleu and Weekend at Waikiki before them) Groningen is the next big city and has always been a good place to further develop your music. (and your drinking habits) Listening to Mullhouse we hear different influences but there is definitely a unique sound. This entry was posted on August 25 2011 by ̸̬̬̦̦̖̤̾ͥTƯ͖͈̓͗̌̊ͫP̴̟͇̜̩̱̄͞ ̧͚̙͓͔̭̉̍ͭ͌̋͆̎ ̤̭̑ͧ̐F̵̢̧̹̥̹̪̲ͭƯ͖͈̓͗̌̊ͫ ̤̭̑ͧ̐Ċ͇̝̗ͤKƯ͖͈̓͗̌̊ͫP̴̟͇̜̩̱̄͞S ̆̽̆ͭ͂҉̼̝͍̜̫̜-. It was filed under archive .